At one end of the Christmas makery spectrum there are people buying ready-made houses and passing them off as their own work #nojudgement. At the other end, there are people who make the gingerbread and icing from scratch, hand cut bits of sour strap lollies for roof tiles and they do it with one hand while spinning a plate on their nose. It might seem like these folks are organisational superheroes, but actually making gingerbread from scratch isn’t that tricky. We’ve found some of the best gingerbread houses around, to make from a kit, from scratch, or even from felt. 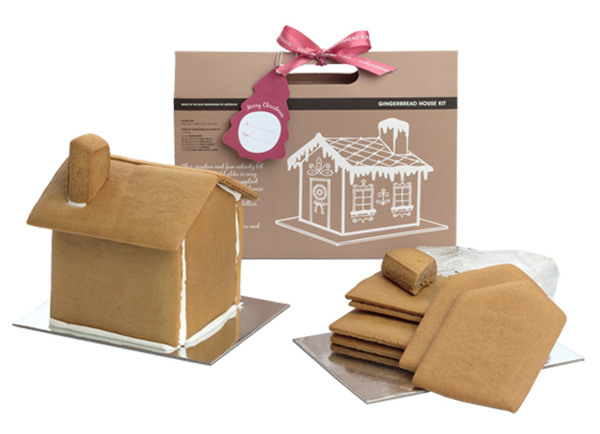 That Gingerbread Place’s DIY Gingerbread House kits contain everything you need to trick people into thinking you’re as handy in the kitchen as Martha Stewart. There are walls and rooves, two trees and icing and a piping bag to construct your masterpiece. And because they’re up on the allergy-conscious times, these guys even do gluten-free. As for lollies and decorations, you’ll have to get those yourself. Word to the wise: buy enough for kids to eat and to decorate the roof. 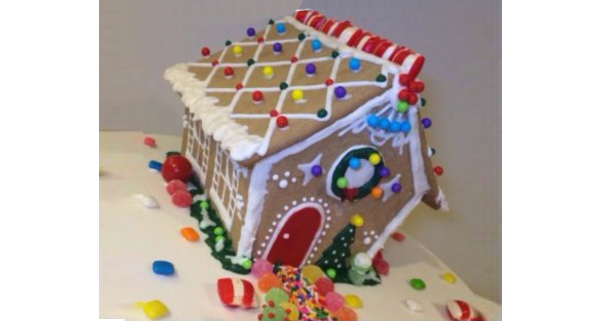 If you’re nowhere near the Australian Martha Stewart, That Gingerbread Place will also make the house for you. 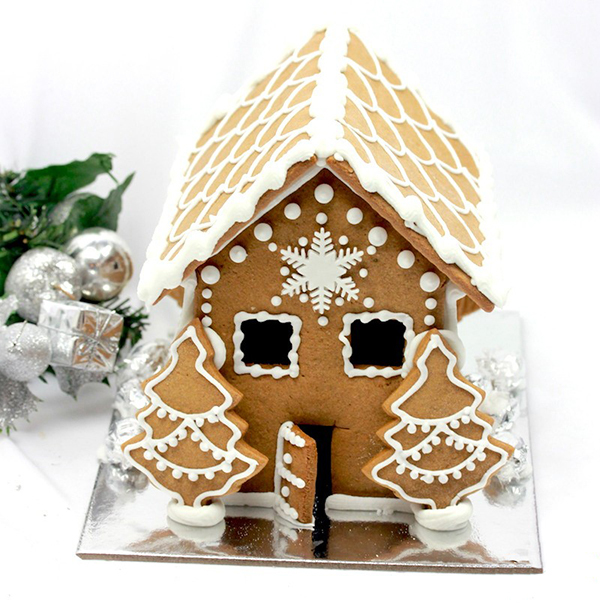 Gingerbread House Kits has a few house style options: there’s the standard, and the country house with its tapered structure and steeply pitched roof. These kits come with six colourful varieties of lollies, which make for a pretty, tasty little house. The Gingerbread Folk is all about natural ingredients and excellent quality. All its gingerbread house kits are egg-free, and there are gluten-free options as well which make them a safe bet for a school fete. These kits are simple, but require some skill with the piping bag. If your decorating talents leave something to be desired, there’s a handy video tutorial for decorating on the Gingerbread Folk’s homepage. Put Google translate to work for this recipe. Inspiration for decorating is a far cry from sticking Wine Gums everywhere. Neat rows of pink marshmallows crown the roof in one photo. In another, there are chocolate balls rolled in 100s and 1000s. Even the trees are amazing, made from white chocolate peppermint drops. 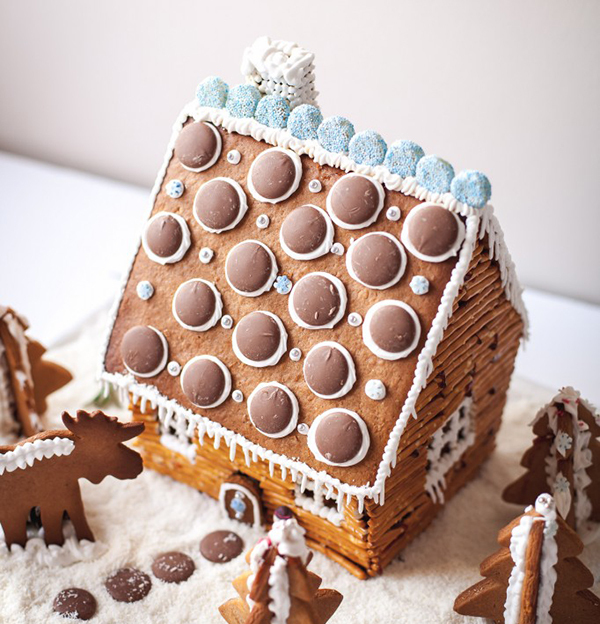 When the bulk lolly section is your playground, you’re not limited to making traditional gingerbread houses. We love this rustic log cabin style house. Gluing on the pretzel logs one by one looks a bit painstaking, but you’ve got kids. You’re used to staying up all night, right? 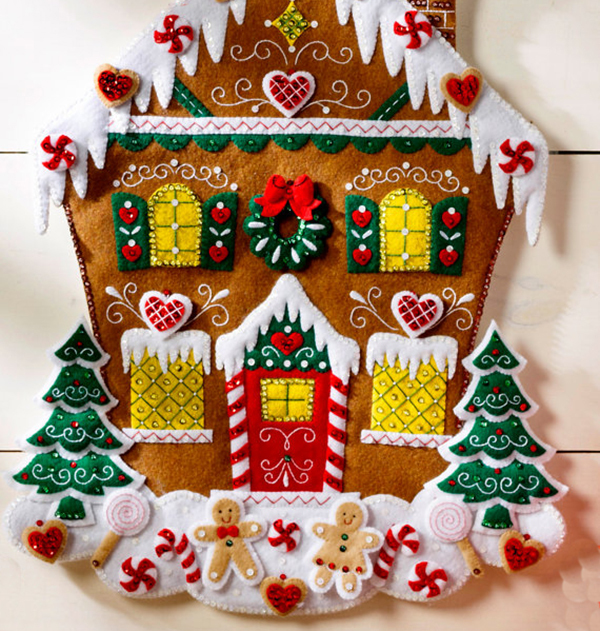 If having a gingerbread house on display has your kids acting like Hansel and Gretel, stealing lollies off the walls every time your back is turned, maybe a felt gingerbread house is in order. 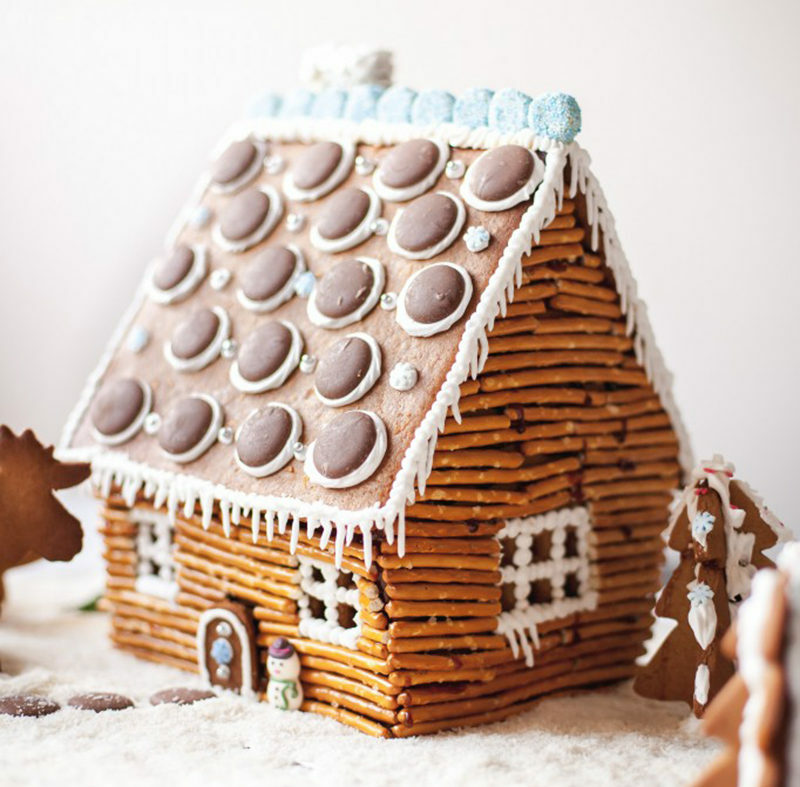 For those handy with a needle and thread, this DIY Nordic gingerbread house is perfect. 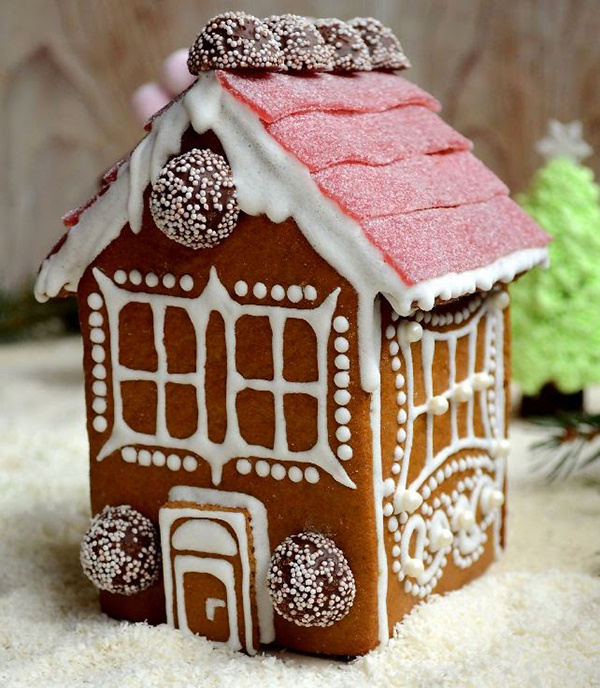 Each curved icicle that hangs from the roof is bordered with sequins, and smiling gingerbread people play amid peppermint lollies in the front garden. If there’s a more quintessentially Christmas scene, we have no idea what that would be. This house doubles as an advent calendar, with removable ornaments to hang on the tree for each of the 24 days to Christmas. 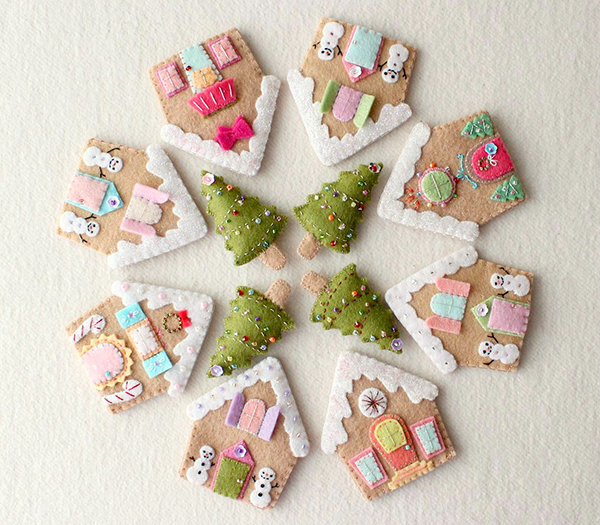 Making these little felt gingerbread houses requires a visit to the craft shop for supplies, but they’re so irresistible, it’s worth the trip. The PDF gingerbread house pattern includes five 6cm tall houses and trees that make for perfect Christmas ornaments for the tree or to hang on the wall. You could also string these along ribbon to make a lovely garland. While you can make these houses any colour you want, we love the pastels in the photos. Champing at the bit to start making? Check out our Christmas section for more festive crafts.